During the War of 1812 Detroit had been captured by the British army and held for over a year. It is the only major American city to have this distinction. In 1840 the US Army began surveying local farms for the placement of a new artillery post. A five point star fort was slated to be built on the narrowest point of the Detroit River on a strategic bend to prevent further invasions. 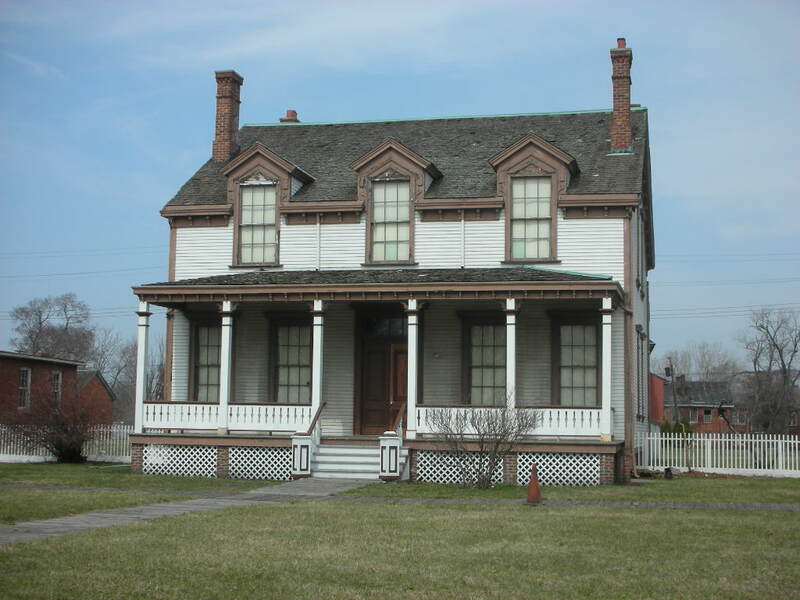 Fort Wayne was Detroit’s third fort, the first built by americans. 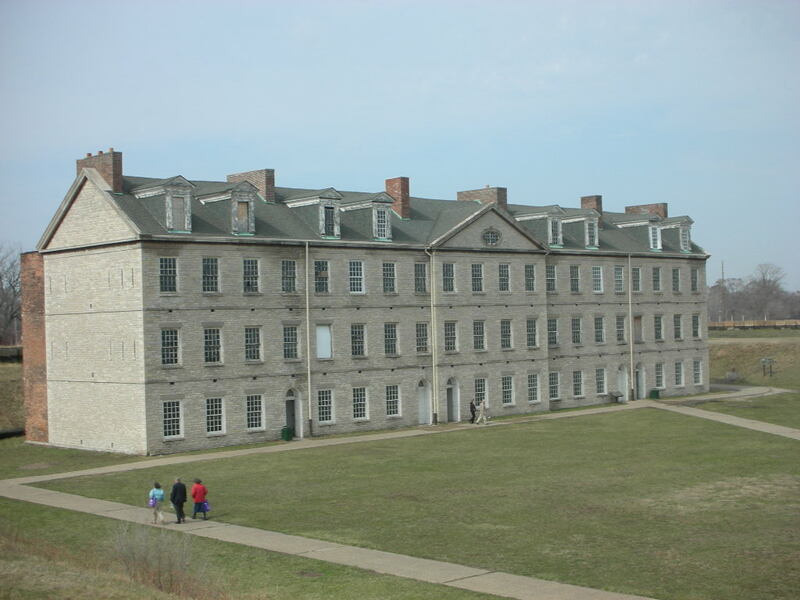 Through its history the fort has served the military as a training center, home to infantry regiments, supply depot, prisoner of war camp, and major induction center. Located at the foot of Livernois and Jefferson the City of Detroit Recreation Department keeps it open for public and special event use. 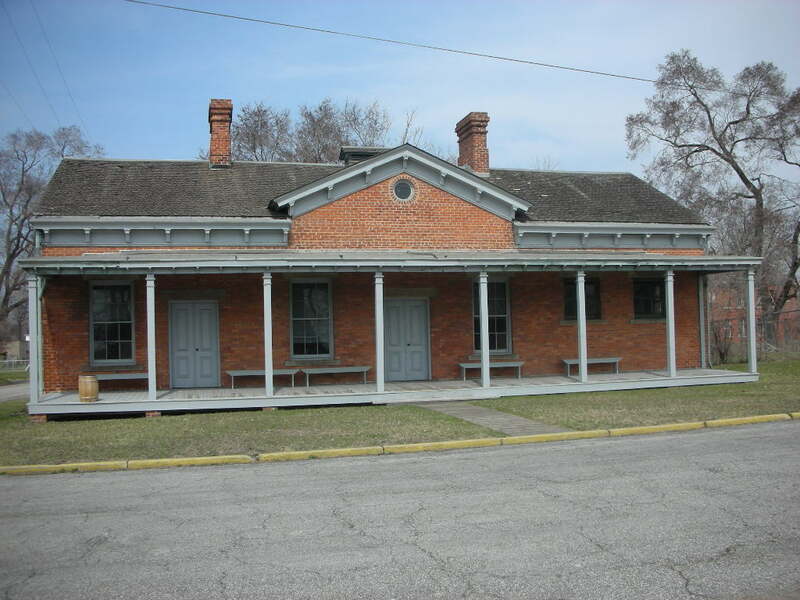 Two private organizations, the Friends of Fort Wayne and the Historic Fort Wayne Coalition, provide monetary and hands-on support to assist in the maintenance and restoration of the property. 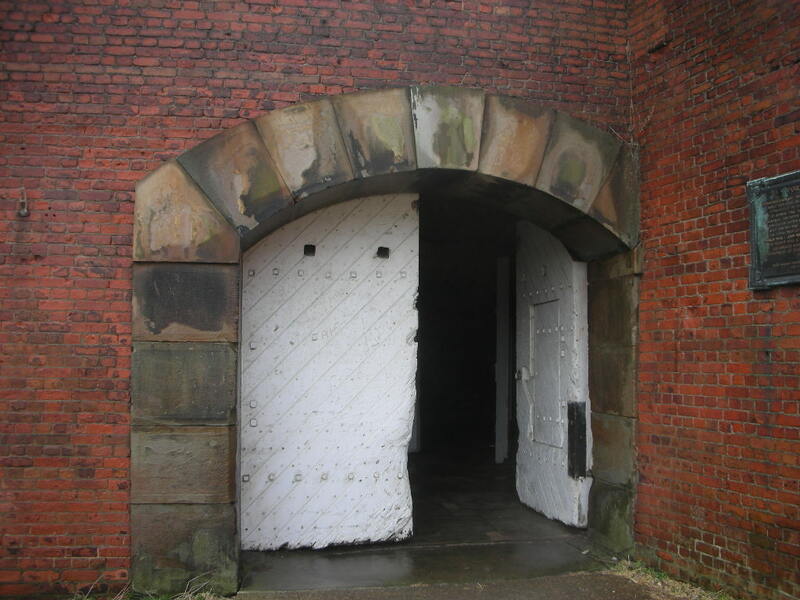 These massive wooden doors make up the main gate to the fort. We have taken the guided tour several times, this being the starting point. When you hear the description of of how the doors were built and the reasons for doing so you are suddenly taken back in time. Your mindset changes from mere curiosity to full attention of the details of a time long ago. 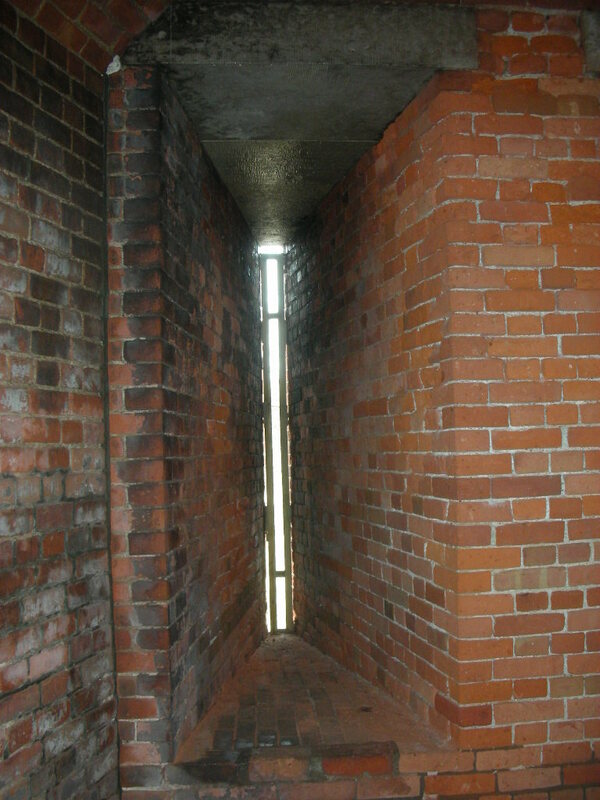 Inside the fort these vertical slits were the windows through which the soldiers would fire upon the enemy. The tour guides do a fabulous job of conveying to you the circumstances of the time, their descriptions can be chilling at times and make history come alive. 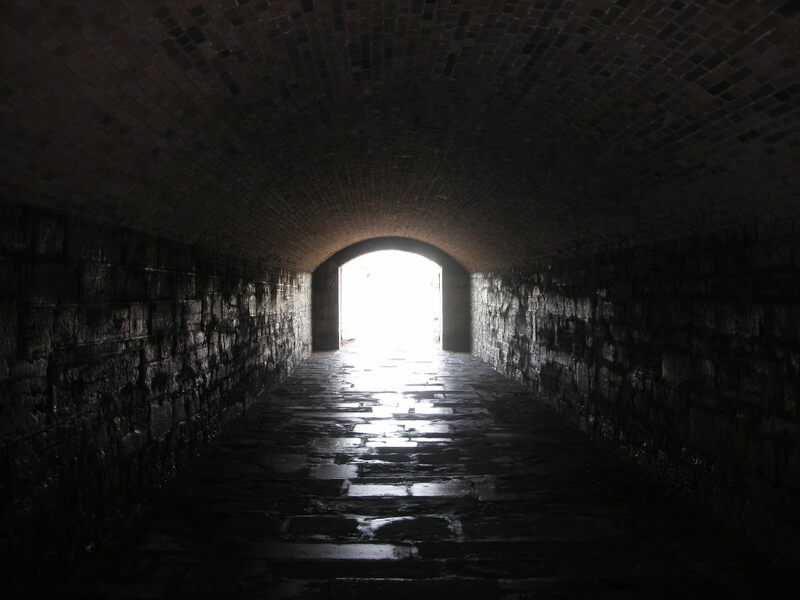 It is dark and cold inside the fort, you can explore several different rooms before taking the tunnel back outdoors. 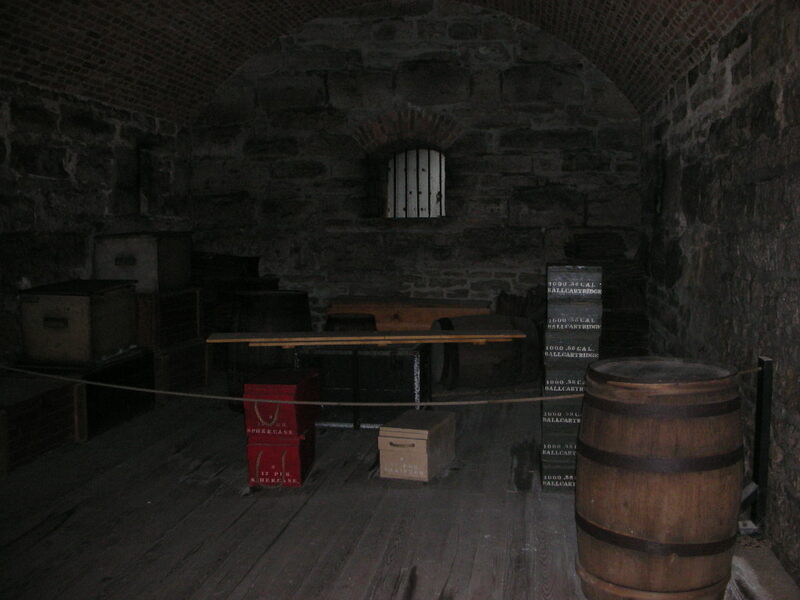 The fort sits on 96 acres, so there is a lot to investigate here too. Climb up the grassy walls for a view of the Detroit River, the city sits to your left and makes an impressive view. Ancient buildings stand along the riverfront directly in front and to the right. 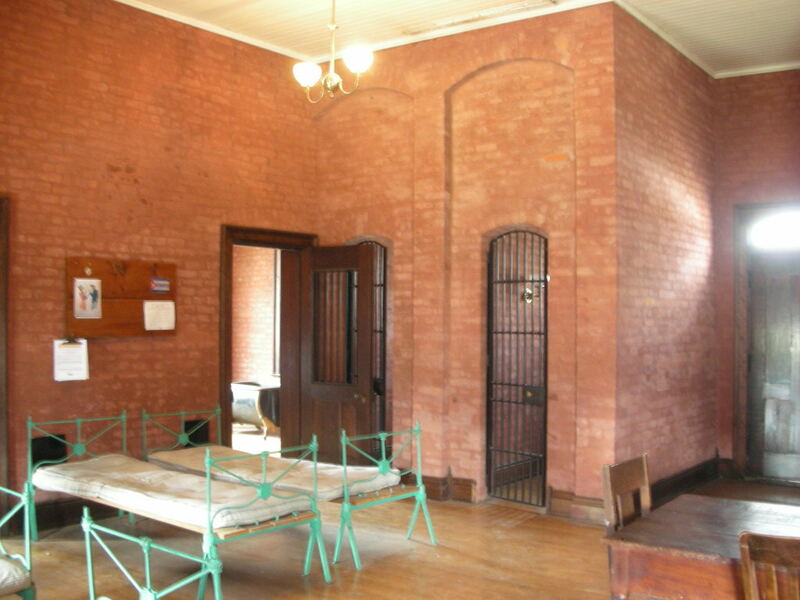 You can walk inside the limestone powder magazine building and a few other doorways surrounding the grassy parade grounds. The barracks building is quite large, the lower floor is where soldiers would take their meals, and upstairs is where they would sleep. The barracks building is also where the public restroom is, something good to know. When you reach the second floor and see the crowded conditions and size of the beds it is shocking to learn that 2 men had to share one bed. The guides details of the life of a soldier here really impress upon you how difficult things were then. Back outside you can walk past Officers Row, these are the homes the officers lived in, you get a sense of how large the property is as you traverse the grounds. The next ‘street’ over you will find tanks resting in place, and more buildings including the guard house. Inside there are prison cells, and an infirmary area. Fort Wayne is also home to the National Museum of the Tuskegee Airmen. I hope you are able to take the time now that the nice weather is here and visit Historic Fort Wayne. Be sure and check the website for events and tours. 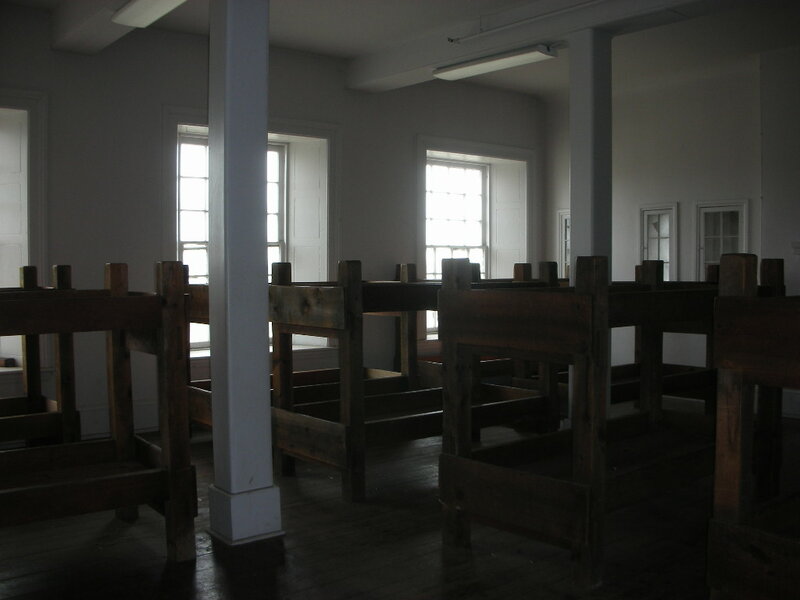 In July they have Civil War Days, and in October they host a few Ghost Hunt Tours. It is a great way to spend a day in Detroit!